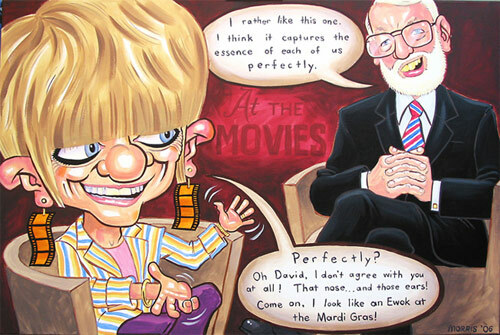 GUEST ARTICLE: Margaret Pomeranz and David Stratton are to movie reviews what Vegemite is to sandwich spreads: an Australian icon. But unlike Vegemite, Margaret and David are still loved after they changed the name of their TV show to “At The Movies” when they switched from SBS TV to ABC TV a few years ago. Reviewing films is easy right?, anyone can do it, WRONG! If someone else could have done a better job, they would have already done so. You see movie reviewers are much like the movie Highlander, there can be only one, well, in this case two, but you get the point. For 20 years, first as The Movie Show on SBS and now At The Movies on the ABC they have delivered movie reviews, interviews and news. This Pair know their stuff when it comes to the silver screen, they have seen more films than you’ve had hot dinners, not only that but they’ve seen more scenes of hot dinners than they themselves have had hot dinners. Sure, last year David only gave Zombieland 2 and a half stars, and Margaret gave A Serious Man 2 stars, but that doesn’t matter because Margaret and David are clearly passionate about film and they always give an opinion from which you can make your own judgments. You may think picking a film isn’t that important either, what’s the worse that can happen? Right? Wrong! AGAIN! Think about it for a second, movie tickets today cost more than a boat and choctop icecreams at movie cinema candy bars are so expensive you can pay them off by installment plan. So you don’t want to make the mistake of spending $15-$30 on a film thats rubbish. A movie lover who doesn’t watch At The Movies and decides to see Avatar instead of The Fantastic Mr Fox could wander out onto the street after the film still wearing their 3D glasses, dazed and disoriented and die of a heart attack brought on from being hit by a bus. Picking the wrong film can kill you, cost you a lot of money or worse yet, you could end up seeing a new Mike Myers film. Listen to the experts, At The Movies. At The Movies is on ABC1 TV Wednesday nights at 955pm, repeated Sundays at 6pm and available streaming on the internet anytime at all on ABC iView. This guest article has been written by my friend Andrew Ensor (@obscurereviewer on Twitter). Andrew loves to watch movies and works at the University of Technology Sydney Library in charge of the Audio/Visual area. Vegemite is the BEST on whole wheat toast. Hmm, I wouldn’t go so far as to say the wrong movie will kill you. Except, of course, if you are epileptic and end up seeing some sort of Pink Floyd tribute film by mistake.